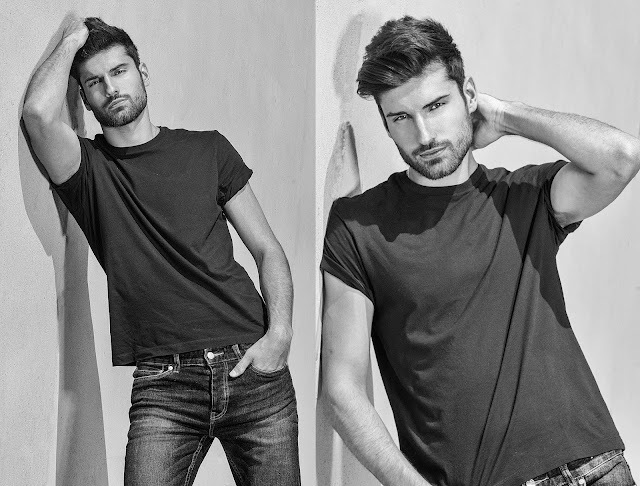 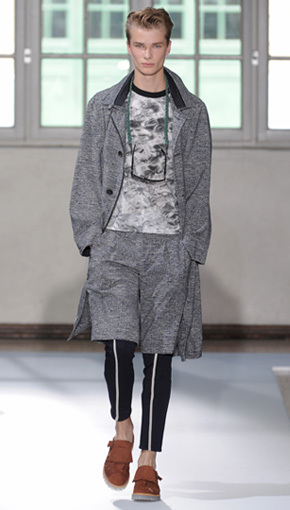 Korean fashion label Wooyoungmi, which is also a membe of Chambre Syndicale de la Mode Masculine and shows at Paris Menswear Fashion Week, has decided that for each season, they will collaborate with an artist to interpret their collection. 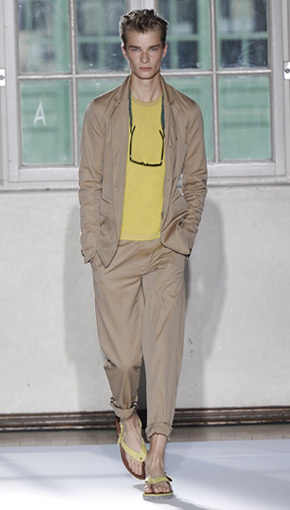 The artist’s work will also be displayed in the exhibition “MANDMADE WOOYOUNGMI”. 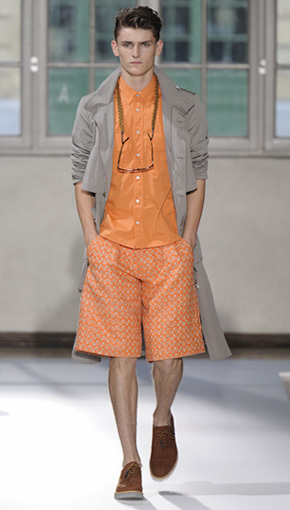 The first launch of this interesting advertising concept will be Wooyoungmi’s spring/summer 2012 campaign. 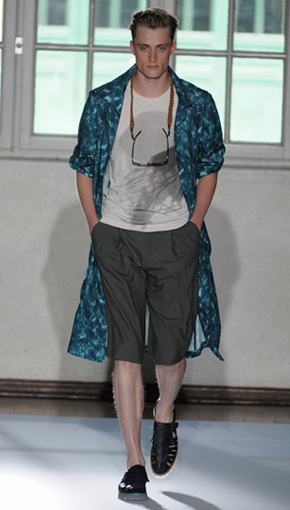 For spring/summer 2012, the fashion house collaborated with young Korean painter Lee Song. Lee Song who lives and works in Seoul is influenced by the works of modern painter Edward Hopper. 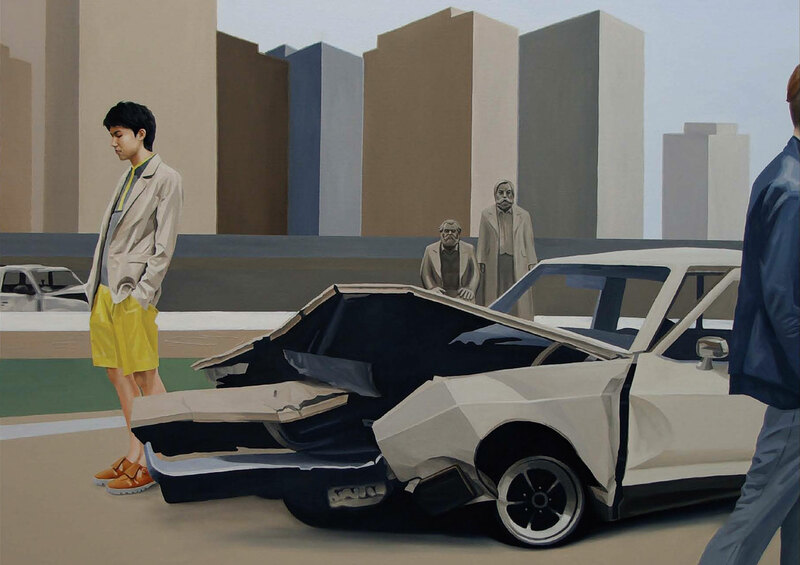 With his unique style of simple line with sophisticated detailing, Lee Song examines the daily routine of modern world. 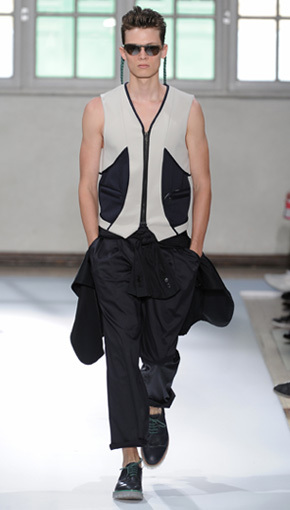 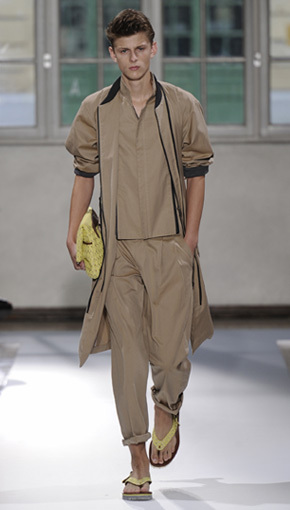 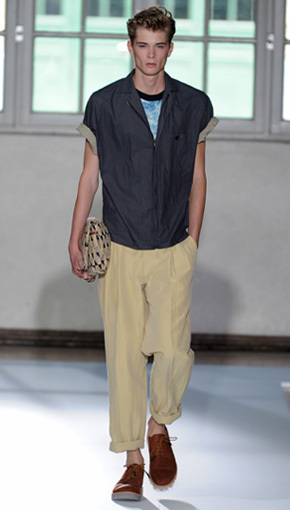 Here’s the look again on Wooyoungmi’s Spring/Summer 2012 collection, inspired by 80’s surfer style. 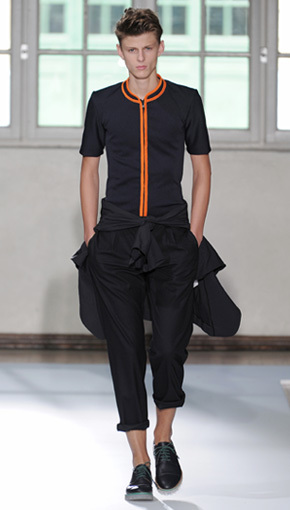 The simple silhouettes were filled with interesting details. 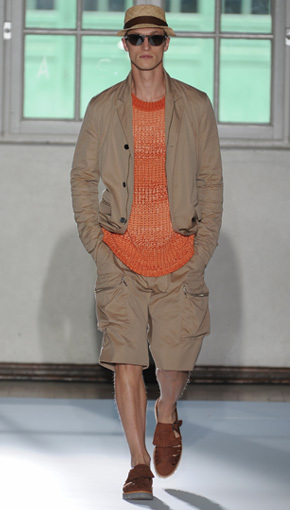 The collection is consisted mostly with neutral palettes like tan, khaki, slate gray, white, black and olive, with splash of neon orange, apricot and yellow papaya. 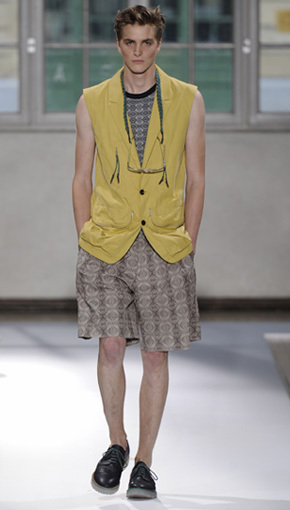 The subtle Ethnic geometric patterns, windowpane plaid, and watery abstract prints added some beautiful touch.